The Bedford, Blair, Somerset and Cambria County Leadership Programs have graduated hundreds of area individuals over the last 10 to 20 years. These programs provide talented and dedicated individuals with a wealth of experience and knowledge. The goal of these programs is to provide leadership skills, promote community volunteerism, and continually improve the business environment within the region. Participants are derived from all sizes and types of businesses representing agriculture, financial, health, manufacturing, media, retailing, service, and tourism, as well as various organizations such as service, clubs, churches, elected officials, and individuals. Each participant is provided with numerous opportunities to connect to their community, interact with other businesses, and learn and share knowledge and resources. The EADS Group realizes the most important aspect of any business is community. And community involvement is one of our number one priorities. Each year, a number of EADS Group members participate in their local County’s Chamber’s Leadership programs to enhance their community leadership and learn how to assume more active roles in their communities. 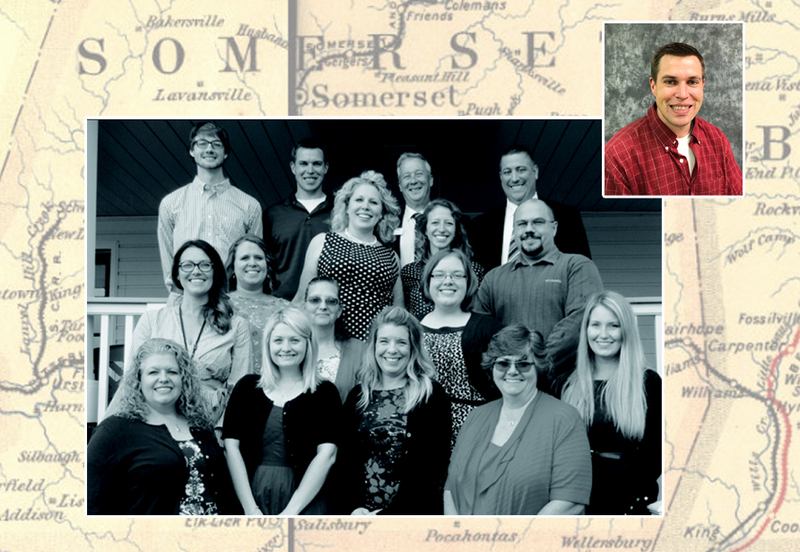 Scott Brant of our Somerset team recently participated in the Somerset County Chamber of Commerce Leadership Program. Scott said, “I feel I now have a much better understanding of the various types of business, governmental and other organizations in the county and now have an appreciation for how important each of the people who make all the connections between each of these organizations is.” These programs give our employees a much better appreciation for the types and size of many of the businesses and organizations that make up our local counties. Our goal is to design solutions that are cost-efficient, forward-thinking and help to support and shape communities that we serve. This is why learning tools such as the Chamber Leadership programs are so important to us. What better way to see what the community needs, than to learn as much as possible about the business and people in our own back yards.